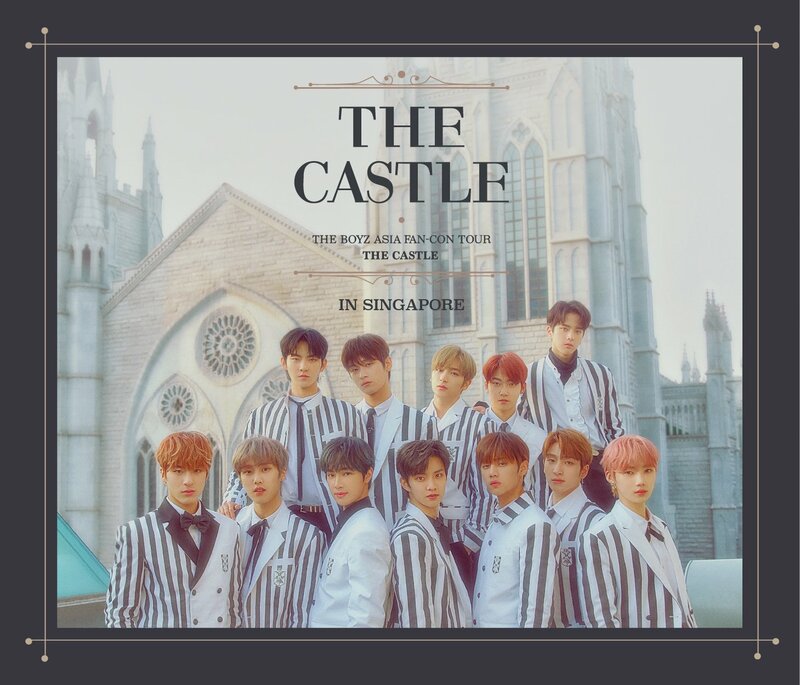 Hallyu fans alert! Cozy up to K-Pop’s own “independent women” – Fei, Jia, Min and Suzy – of Miss A at A|X Armani Exchange ION Orchard when they come for a meet-and-greet evening with fans at the store on 15 February. SMS AX[space]NAME[space]EMAIL to 79777* to receive a Special Fan Code. Be the first 55 fans to spend S$200 at A|X ION Orchard to receive your meet-and-greet pass (for 15 Feb, 7pm, A|X ION Orchard). Show your Special Fan Code to redeem your pass on the spot. 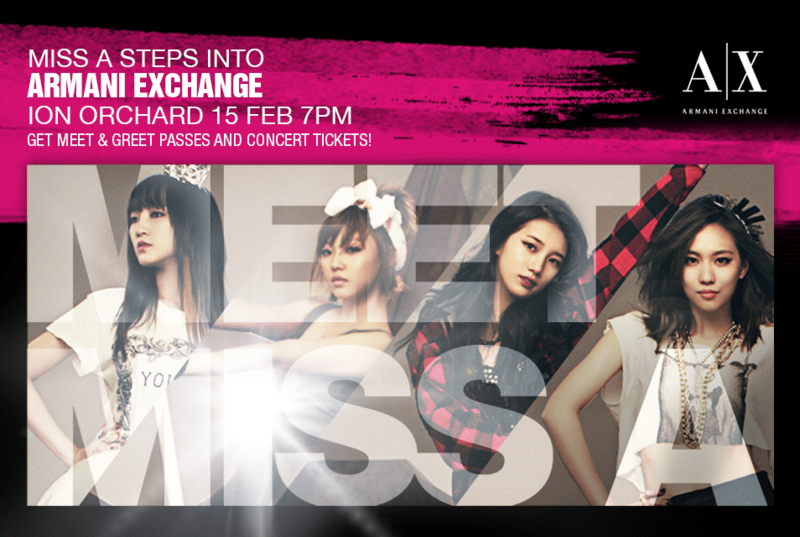 Be the first 5 fans to spend S$500 at A|X ION Orchard to receive your meet-and-greet pass (for 15 Feb, 7pm, A|X ION Orchard) AND a pair of tickets worth a whopping S$296 to the Miss A concert (16 Feb, 7pm, The Star Performing Arts Centre). Show your Special Fan Code to redeem your pass and tickets on the spot. Be sure not to miss this chance to meet the girls up-close and personal! Visit HERE for more information about Miss A’s upcoming showcase in Singapore! Stay tuned to HallyuSG on Twitter & Facebook for more updates coming your way!